These three reports appeared in today’s edition of TODAY and The Straits Times. My thoughts and observations follow after that. By the way, there are some interesting points in the reports which I have also highlighted. Do look out for them. SINGAPORE – National coach Radojko Avramovic was not a happy man yesterday, after news emerged of indiscipline and a lack of professionalism among some members of his squad, one week after Singapore’s bid to qualify for the 2011 Asian Cup Finals ended in defeat. The Lions lost 2-1 to Jordan in Amman last Wednesday and The Straits Times cited incidents prior to the game and during half-time which could have contributed to the Lions’ downfall: Two players were seven minutes late for the team bus on matchday, while another player was allegedly spotted sneaking a smoke in the dressing room toilet at half-time. Avramovic insisted there was not much more he could have asked of his charges in Amman. “We didn’t achieve the result we wanted in Jordan, but I cannot complain about the effort and commitment the players showed in training. They were excellent,” said the 60-year-old Serb. “The incident with the team bus, it was the one time that anyone was late for anything, and while smoking is not encouraged in the team, none of the officials spotted the (alleged) smoker,” he added. Speaking to MediaCorp from Indonesia, Lions’ skipper Noh Alam Shah vouched for the discipline of his team in Amman. “Throughout the five days of preparations, you can’t say that we showed any indiscipline. We slept early, followed the itinerary, and no one tried to go out at night,” he said. “I even helped check. This was one of the away camps where we showed the most team unity. I can’t see much that we did wrong during the preparation. “We lost the match because we couldn’t concentrate for 90 minutes on the pitch and were punished,” the 29-year-old added. The two players who were late for the bus could now face repercussions, according to Avramovic. “The players were late for the bus on match-day, and that was not the right time to take action. But I have put it in my report as per the normal procedure, and if the disciplinary committee see fit, they will take action,” he said. MediaCorp understands that FAS are looking into the smoking allegations and, if found guilty, appropriate action will be taken against the errant player. “They are professionals and adults, and they must realise that if they smoke their playing age and time will be shortened. We cannot be checking on them all the time,” insisted Avramovic. The coach vowed he would put his foot down if he felt the unity of the team was being compromised, and according to Alam Shah, the Serb always means business. “Raddy is capable of bringing Singapore forward, and if he feels that there are players who are below his expectations, they will have to take a reality check, because he will not hesitate to drop them, like he dropped me in 2003 for a while,” said the forward. Said FAS general secretary Winston Lee: “We will learn from this. I know that Raddy and his team will do better the next time round. REVELATIONS about the Lions’ lapses in discipline has led to a public outcry, with Internet forums awash with postings from fans slamming the guilty players for their attitude on what would have been the biggest day for Singapore football in years. Many had stayed up at midnight (Singapore time) last Thursday to watch the live telecast of the Asian Cup qualifier against Jordan. And the fact that two players were late for the team bus on match day and that there is a smoking culture within a minority in the team had the supporters blasting the errant players for their lack of professionalism. A message left on The Straits Times’ website read: ‘The problem is that some of the professional players we have in the national team are anything but professional. Yesterday, national football coach Raddy Avramovic clarified some of the statements he had made. The Serb confirmed that two players were late on match day and that they had kept their teammates waiting on the bus. He also reiterated that a report would be submitted to the Football Association of Singapore for disciplinary action. Avramovic, while conceding that there is a smoking culture among a handful of players in the team, said he did not actually see any of his players sneak into the toilet to smoke during half-time. On the Lions who smoke, he said: ‘In the national team, we are dealing with older players. They should be responsible people who should already know what is good or not good for them. ‘I used to say to the players to cut down on the number of cigarettes they smoke. But it is too late for them to stop as some had picked up the habit when they were young. He also clarified that the players did not complain about training or attending team meetings in Jordan although he did hear some grumbling during previous international get-togethers. He said: ‘In Jordan, I never had any problems with the players when it came to training or meetings. ‘I was very happy with their attitude and I reported to FAS general secretary Winston Lee daily that the team worked hard and were looking good. What still irks him is how the two Lions were late for the bus on match day in Jordan for the crucial Asian Cup qualifier. Singapore eventually lost 1-2 and failed in their bid to qualify directly for the Asian Cup Finals for the first time. They had overslept and were seven minutes late when the team bus was supposed to leave at 3.45pm sharp. The game was scheduled to kick off at 6pm in Amman’s King Abdullah International Stadium. Avramovic said: ‘At least, if the two players had apologised to their teammates, it would have been perfect and the matter would be forgotten. He warned that when he first took charge in 2003, he punished players whom he felt were affecting team spirit. And after the recent lapses in discipline, he will not hesitate to take strong action again. SINGAPORE football coach Raddy Avramovic yesterday dismissed talk that he has lost the plot, insisting that he is in full control of the Lions. He also explained why he did not come down harder on the two players who overslept and were subsequently late in boarding the team bus that was to take them to the stadium for their Asian Cup qualifier against Jordan last Thursday (Singapore time). Avramovic said he has already decided the duo’s fate, but will not reveal it just yet. He then cited the example of a player who was caught by team manager Eugene Loo smoking at the table after breakfast in front of his teammates in 2006. The player, whom he declined to name, was subsequently fined. That same year, another player spat in Avramovic’s direction after he was substituted during a game. He never summoned the player for national duty again. On the issue of smoking among a handful of players, he said it would be wrong to axe them. He said: ‘I am not selecting smokers and non-smokers when I check on a team. I select players based on how they play. ‘Applying pressure on the smokers will have no effect. It is better to have conversations with them and help them realise that smoking is bad for them.’ …..
What does one make of all of this, in the light of the report in yesterday’s Straits Times? Well, it looks like following yesterday’s report, the Football Association of Singapore decided to do an excercise in damage control using Raddy Avramovic as their front man. I get the sense that they have decided it is better not to wash any more dity linen in public because it means having to deal with the media extensively over the next few days. They had already thrown enough morsels to The Straits Times which then ran the exclusive report yesterday. Now, they’ve probably decided to stop saying anything more in case one gets tangled up in words which can then be ‘exploited’. Besides, disciplinary matters will always be dealt with internally, and as far as the FAS is concerned, that should be enough. But there were still enough morsels in today’s reports for us to draw our own conclusions. We know now that two of the guilty culprits were Baihakki Khaizan (why am I not surprised?) andMuhammd Ridhuan. We now know too that they have not apologised to the team since. That is truly appalling. I think that lack of action on their part speaks volumes of either their lack of self-awareness and contrition or of the level of their arrogance. I am heartened by his words. It shows that he is the sort of person who speaks softly and carries a big stick. And I am hopeful that the big stick will come down hard on Baihakki and Ridhuan. Finally, it doesn’t matter whether Avramovic denies whether he has seen the players smoking or whether he says that the players’ commitment to training was excellent and that he had no complaints. Because remember once again – he is toting the FAS’ official public relations line. However, we should do well to remember that The Straits Times also quoted an unidentified national senior player yesterday as saying that he was ‘disgusted at his teammates’ smoking habit and bad behaviour’. So that is proof enough for me that there were instances of poor discipline during the away trip to Amman, Jordan, and that these instances are afecting team unity and spirit. Yet I am sure that Avramovic probably couldn’t do much at the time because his squad was already depleted by injuries and because his main priority was th secure qualification for the Asian Cup. In other words, he had to field the best set of players at that point. But now that the Lions are out of the Asian Cup, this may be the opportunity for Avramovic to make the neccessary sweeping changes. In other words, our Asian Cup exit could well be a blessing in disguise for Singapore football. So thank you, Baihakki and Ridhuan. I hope you get what you thoroughly desrve, and I hope that in turn paves the way for a brighter future for Singapore football. And, Raddy, while you are at it, please don’t forget to chop Precious Emuejeraye too, ok? This report appeared in today’s edition of The Straits Times. Is it any wonder that the Lions lost? ON THE day of what was arguably one of the most important matches in Singapore’s football history, two players overslept and were late boarding the team bus. Also, at half-time, with Singapore trailing 0-1 to Jordan in the Asian Cup qualifying decider, a couple of players were smoking in the dressing room. After a 1-2 defeat that bundled them out of the competition – the Lions needed only a draw against Jordan to secure passage to the finals of the tournament for the first time – some of the players’ attitude has been called into question. Their shocking behaviour was confirmed to The Straits Times by coach Raddy Avramovic, who will submit a report to the Football Association of Singapore (FAS). Avramovic yesterday also lashed out at the poor attitude of some players during training sessions, saying they had complained about attending team meetings to watch video analysis of the opponents and participate in tactical discussions. These players also refused to take training seriously. The defeat last Thursday (Singapore time) ended the country’s hopes of qualifying directly for the tournament for the first time. Singapore were in the finals just once when they were hosts in 1984 and were given direct entry to the tournament. The 60-year-old Serbian tactician, who has been in charge of the Lions since 2003, declined to name and shame the culprits but said ‘these players know who they are’. 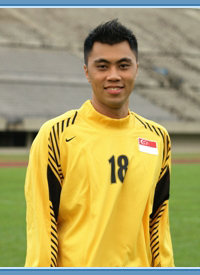 FAS general secretary Winston Lee said: ‘We take a serious view of discipline in the national team. Trouble began the day the Lions landed in Amman for five days of preparation for the match. It was not only the coach who was fuming, some fellow players slammed the poor attitude too. A senior national player, who did not want to be named, expressed disgust at his teammates’ smoking habit and bad behaviour. Avramovic has pledged to take firm action against the slackers, saying: ‘The two players who overslept will be dealt with internally and fined. With no international fixtures until December’s Suzuki Cup, Asean’s regional championship, Avramovic is planning to take the squad on a European tour in August. Games against the national sides of Serbia, Bulgaria and Romania are on the cards. The coach sees the tour as a good opportunity to ring in the changes, saying: ‘My principle is: Any player who disturbs the team spirit will not make this trip. After I read the report I was speechless.And then I was saddened and bitterly disappointed. But now I am angry. Furious. My manners prevent me from spewing a torrent of abuse at the three footballers who acted like prima donnas in Jordan, who did not give their all to Singapore’s Asian Cup cause and who incurred the wrath of Raddy Avramovic. The national coach is not naming any names now but I think we will have a good idea as to who the culprits are when Raddy unveils his squad for a training trip to Europe. Look out for axed players below the age of 30 because it will be mighty suspicious that they are being dropped at a time when they are supposed to be at the prime of their careers. I hear from my sources that a couple of them are based in Indonesia. I am trying to find out who they all are. WHO HAVE SUPPORTED THE LIONS THROUGH THICK AND THIN. I can handle it if the Lions are outplayed by opponents because of the gulf in standards but I cannot stand it when it is because there are players in the team who opted not to give of their all. SHAME ON YOU, AND MAY YOUR PLAYING CAREERS COME TO A PREMATURE END. And to Raddy: you have my support. Please wield the axe mercilessly and chop these idiots from the team. I can live with a weakened Lions team in the Suzuki Cup, and I can live with the idea of us not winning the tournament. Strong teams can always be rebuilt, given time and patience. But I cannnot live with the idea of cheats in the team. So please, Raddy, swing the axe and swing it brutally. Make them feel pain. On behalf of all the long-suffering fans of the Lions, I would like to express my deepest thanks, appreciation and gratitude to you for your superb performance against Jordan last night. Thanks to your brilliant reflexes, your calmness and presence of mind, you saved us from a mauling in Amman and restricted the marauding Jordanians to a narrow 2-1 win, a scoreline which certainly flattered us and paints a false picture of the actual gulf in playing standards between Jordan and us. What was especially amazing was how you achieved this in spite of the windy and cold conditions, which made ball control and judgement even more difficult, and in spite of the ineptitude of Precious Emuejeraye and Baihakki Khaizan, our supposed two pillars in defence. They were completely rubbish last night, that much was clear for all who tuned in to Channel 5’s live telecast of the crucial Asian Cup qualifying fixutre last night. I blame them both for the two goals which you eventually conceded that sent us eventually to the bottom of our group, a place I feel we do not deserve considering some of the good work that we did during the initial part of the qualifying stage. God knows what Precious was thinking in the third minute when he allowed Jordanian atacking midfielder Obai Al Saify to get in front of him and power a missile of a header past you. Or perhaps he wasn’t thinking at all, which also wouldn’t surprise me. Whatver the reason, that set the tone of the lop-sided battle between Obai and Precious last night. Lumbering and slow on the turn, Precious just could not cope with the Jordanian’s skill and speed last night. In fact, on numerous occasions, he was left eating his dust. It was so painful to watch, and you just wanted to point a gun at Precious and end our misery. I can also only guess at why Precious and Baihakki chose to leave Anas Banyyasen unmarked during an inswinging corner in the 60th minute, allowing him to head the ball past you and hammer in the final nail in our coffin. It was a goal which should never have happened, and it destroyed whatever confidence we had after Noh Alam Shah’s equaliser at the start of the second half and afterthat, we were left chasing the wind. I have decided that both Baihakki and Precious are completely useless at higher stages of Asian football, and even if Singapore go on to win the Suzuki Cup again this year, my opinion of them will never change. So long as national coach Raddy Avramovic does not axe them, I will never put my money on a Singapore win and will always go to the National Stadium expecting the worst. Perhaps that’s the way – so that every little win we eke out wil always be a relief and a pleasant surprise. You, Lionel, on the other hand, are an example of the type of Lion Singapore needs. Your performance last night was world-class. As I write this, I am constantly replaying in my mind the reflex save you made at full stretch against Obai in the 25th minute, and the two occasions (20th and 38th) you saved at his feet. I cannot imagine what the final scoreline would have been if those strikes had gone into the net in the first place. Finally, thank you for deciding not to head off to Indonesia to play professional football. As far as I am concerned, the Indonesian Super League can keep the likes of Precious and Bahihakki in perpetuity. Maybe they should consider giving them citizenship because from now on, the less we see of these two clowns in action for the Lions, the better. Keep up the great work, Lionel.